Marble Mountain is part of the foothills of the Appalachian Mountain Range in western Newfoundland and offers some of the best skiing east of the Rockies. The resort lies in a snow belt and gets an average annual snowfall of 16 feet. Host of the 1999 Canadian Winter Games, the 2003 World Freestyle Championships and the Canadian Association for Disabled Skiing Festival in 2004, Marble Mountain has great, varied terrain. 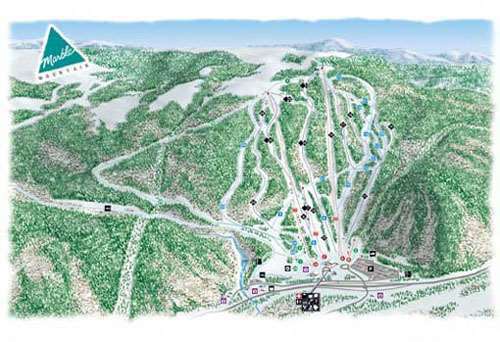 The resort offers long, fairly flat trails to very steep, groomed and mogul runs. Lessons for beginners are on the gentle run of 'Country Road', which ambles for several miles through the trees with scenic views. Intermediates have the choice of the various blue runs, which meander easily around the mountain. More expert skiers can test their nerves on ‘Boomerang’, a double black mogul run, amongst others. 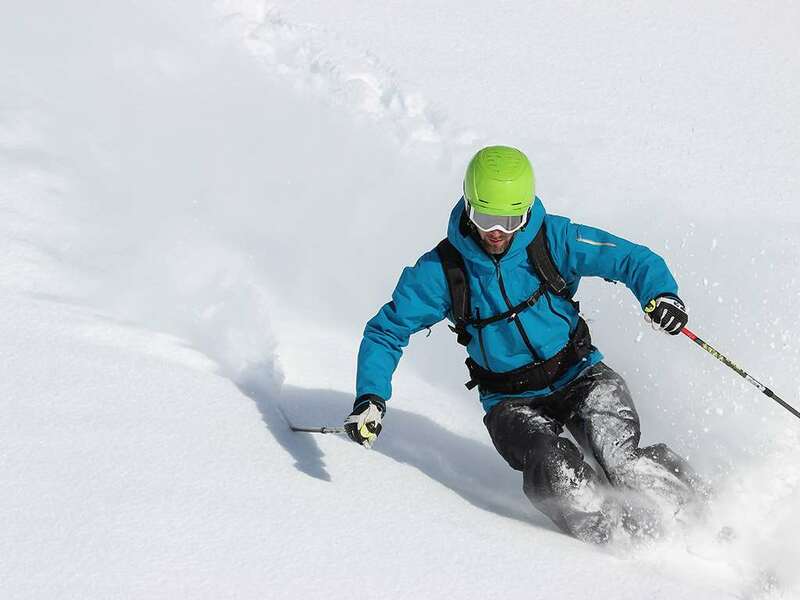 Boarders are well catered for, with newly-added, groomed trails, a competition half pipe and an excellent terrain park, as well as good off-piste. The half-pipe opens early in the season. For something a little different, we recommend trying the dogsled trek through the backcountry where you will see mountain vistas and the chance to see wildlife such us moose, caribou & small game. Marble Mountain is a great resort for families. Children as young as three can take part in the snow programmes and there is also an on site Kids Kamp to keep them entertained for hours. A child minding service is available for the under 3s. The whole family can enjoy an evening at the Family Adventure Tube Park or over 40km of groomed trails at the Blow Me Down Cross Country Ski Park. The delightful city of Corner Brook, situated on the Southern shore of the Bay of Islands, is just 5-10 minutes from the base of Marble Mountain and serviced by ski bus. The surrounding Long Range Mountains provide a spectacular backdrop. Vibrant Corner Brook offers all the amenities and conveniences of city living. Here, you will find a good selection of shops, gift shops, a sports centre, bowling alley and cinema. There is a good choice of restaurants to suit all tastes, as well as live entertainment and bars close to hand for apres-ski entertainment. The nearest international airport to Marble Mountain is Sacramento which is around 41 miles driving distance from resort. There are other smaller airport which are also accessible via car including Stockton, CA which is around 68 miles away. I've skied right across Canada including the Laurentions, The Rockies and the Coast Mountains, so I've seen enough to compare. The only thing Marble is missing are Alpine bowls. Aside from that there is snow in abundance and tremendous pitch from the top ALL the way to the bottom. Runs like Corkscrew are as good as you will find anywhere - including out west. Great lodge - no line-ups for lifts.